Egypt keeps more secrets than you can possibly imagine and one of the more exciting ones is King’s Tut’s very own slot game-King Tut’s Treasure Slots. The background is beautifully created with sarcophaguses and colorful statues placed in a gorgeously decorated underground tomb, covered in typical writings in Ancient Egyptian. The slot features 3 reels and 1 payline. You can bet 1, 2 or 3 coins. Coin bet values involve 10 cents, 25 cents, 50 cents, 1 dollar, 5 dollars and 10 dollars. This makes the maximum bet is 30 dollars. There are nine symbols in this atmospheric slot game and all of them are tightly connected to popular Egyptian culture and history. There is the King himself, a Pyramid symbol, an Oasis symbol, the Eye of Horus, a Scarab symbol, an Ankh symbol and a Camel. The highest paid symbol on the reels of the pharaoh is his Majesty himself. Receive three of the King Tut symbols and you will receive the 2000 coins’ jackpot of the game and that is the case when the gambler is using all the 3 lines. The King is also the game’s wild and is capable of replacing the rest of the symbols in the game. If a triple symbol winning combination gets completed through the services of the great wild king the eventual payout will be doubled. As a whole, there are 8 different winning combinations capable of providing the players with various slices of the royal Egyptian treasury. The lowest paid one is the Camel, which pays 2, 4 and 6 coins respectively for 1, 2 and 3 coins used at the bet. Then there is Ankh, which works when it is in a triple combination. The payment in its case is 4, 8 and 12. Next in line are the Scarab symbols and they also form a winning combination of three and in their case the earnings are doubled-8, 16 and 24. The triple Oasis combination raises the awards a bit more-10, 20 and 30. The Eye of Horus really steps up the game when three of it appear after a spin-25, 50 and 75. The glorious Sphinx’s triple combination is also spectacular starting at 50, going to a 100 and ending as high as 150. The Pyramid combination pays 100 for every coin you enter the bet with. And finally, of course the jackpot-delivering triple wild King Tut combination will bring with 1 coin-500, with 2 coins-1000 and at 3 coins, the triple King combo will grant you the glorious jackpot. 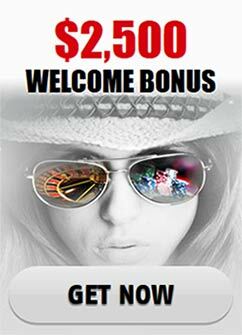 All in all, this is an online slot with the simple 3 reel, 1 payline set up that completely fulfills the expectations for such a type of slot. There are plenty of symbols and all of them provide satisfactory awards that will please the gambler even when he is not landing that meticulous King Tut symbol triple combination. One way or another, you will feel like an Egyptian royalty in the presence of such an absorbing ancient look and those numerous awards.